I've seen the crochet ones but love this knitted one. Did you even know this existed?!?!? A BUBBLE WRAP CALENDAR!!! Pop one every day! It would be the best part of any day! 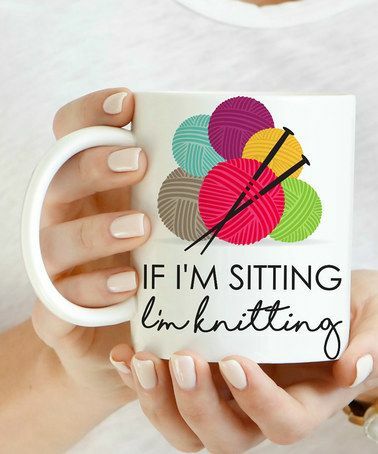 I love that knit too. Looks so cozy. We are getting snow today, so that means the city shuts down! Now if I can only convince my boss to let me leave early! Happy Friday!! 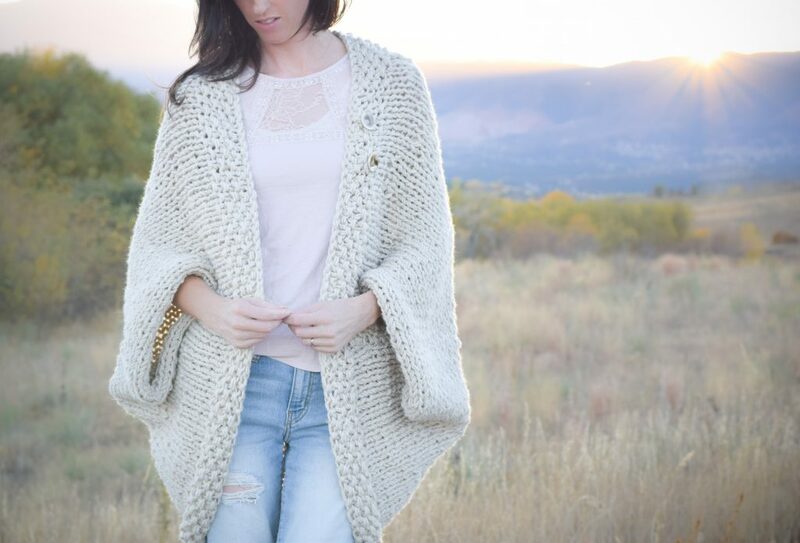 i loooove that knit - I'm SUCH a huge fan of cardigans like that.. big & comfy. That sweater is beautiful! Are you going to make one? 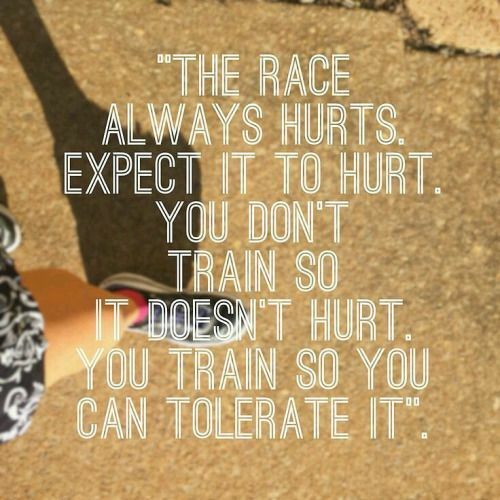 Oh yay for starting your half training. I ran one in 2013 and am in AWFUL shape now. I need some motivation. I'll be cheering you on! Wow, that bubble wrap calendar is great! But I wouldn't be able to just do one day at a time and that may be a problem :) Good luck with the training! oh my gosh, the bubble wrap calendar!!! and the McDonald's coffee cup.....did they really?!! 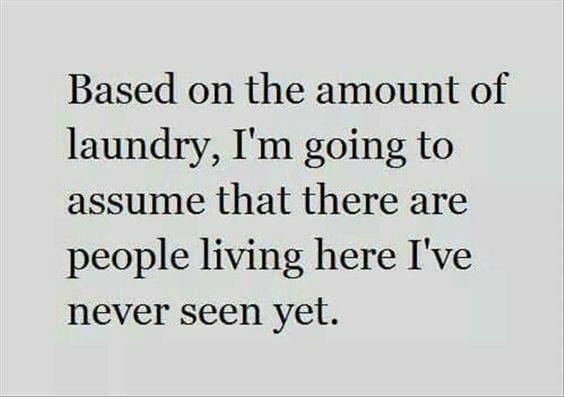 I think everyone in my house wears 10 pairs of socks a day or the neighbours drop theirs off over here because that's the only logical conclusion. 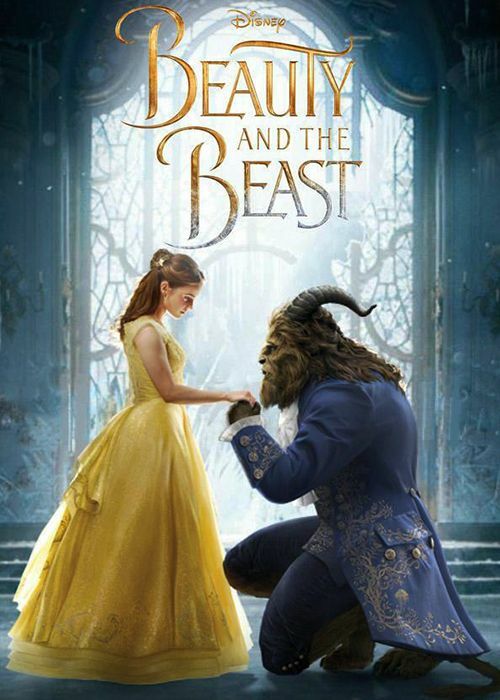 Beauty & The Beast was never one of my favourite Disney movies but I am curious to see the live action version. That McDonald's cup...it took me a minute to figure out they were going for mittens! Have a great weekend! Okay, I may be the only one who doesn't get the mcDonald's coffee cup. I've stared at it intently looking for misspellings and what not. I give up! I'm so. Glad it's Friday and it wasn't even a full work week for us! PS. Did the Beast always have a horn growing out of his head? 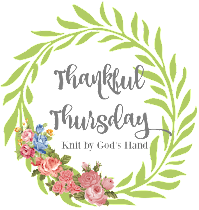 That knitted sweater is gorgeous! I also love the bubble wrap calendar idea... I would have to practice self control because I'd want to pop them all at once! 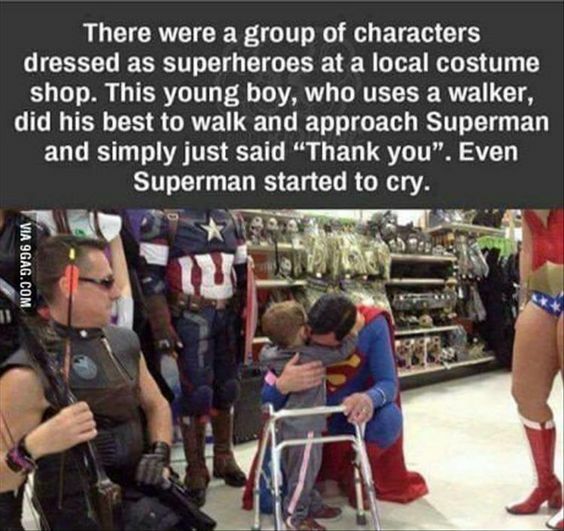 Ahhh that peencha brought tears to my eyes! 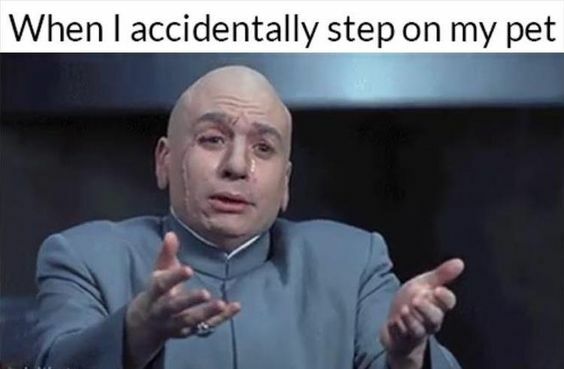 And then I had to laugh at the stepping on your pet (because oh my gosh, I feel more guilty after that than anything else!) and the McDonald's cup. Hahaha! this is my last day of my holiday and i go back to work on Monday, BOOOOO! i LOVE the bubble wrap calendar idea but how can you only pop ONE bubble? That knit looks SO WARM. I'd totally wear that! As always, all those memes and gifs are my life. Ha! 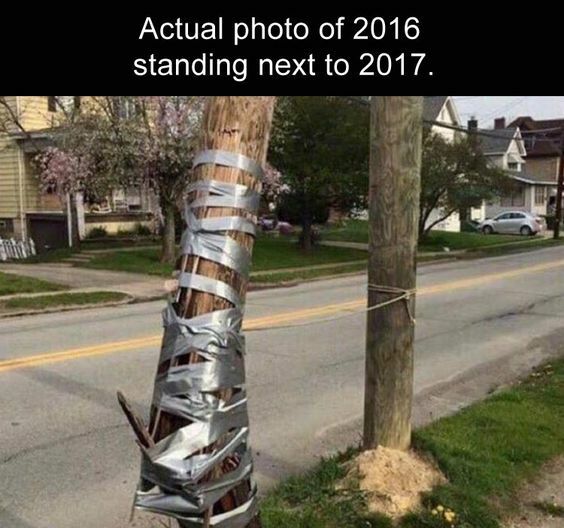 LOLOL @ 2016 standing next to 2017. Ok, that bubble wrap calendar-how do you pop just ONE bubble?! I'm not sure I could resist popping several at a time! LOL. That knit is so beautiful! That knit wrap is gorgeous! 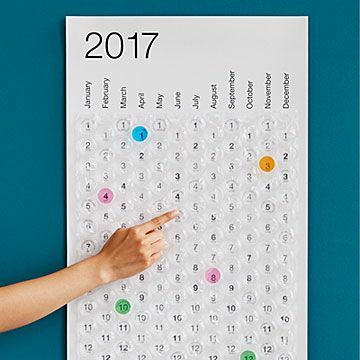 I don't know who thought up the idea of a bubble wrap calendar but he/she is a genius! I LOLed at the McDonalds because oops. :D So ... I went to the store and they had some of my favorite holiday candy at 75% off, so yeah. Double oops. Have a great weekend! Thanks for the giggles! I always love your Friday posts! That knitted sweater is beautiful! Happy weekend! SO many of these... the bubble wrap would all be popped the first day in my house! The 2016 next to 2017 - I really did lol over that one! When my husband is telling me a story... YES!! Saying goodbye to my money... oh, these were so good!! I'm all about some B&B, but those horns on his head remind me of the ones Angelina wore in Maleficent! Ha! 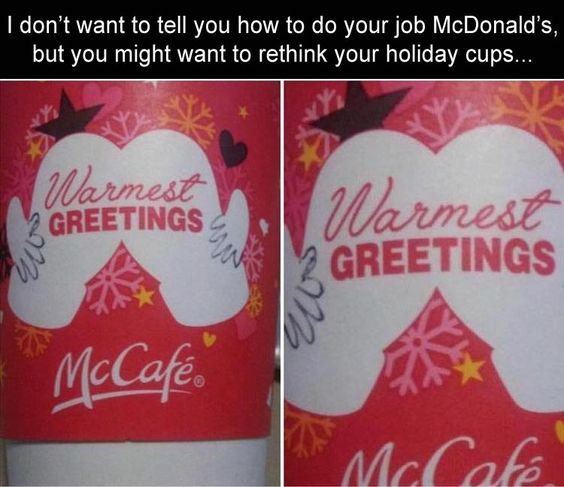 Hahahaha those holiday cups! That sweater is sooooo cute!!! I hope you have a great weekend! 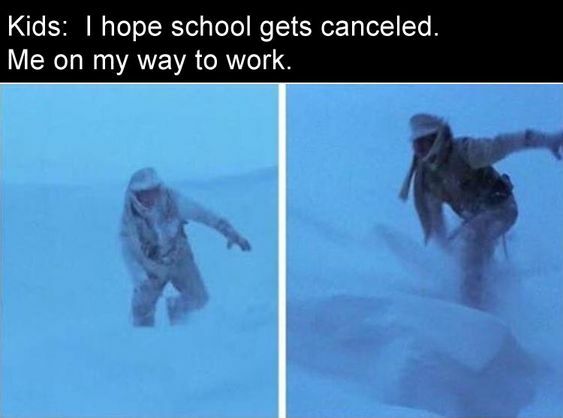 That work in the snow meme.. so sad but true. That was me a couple years ago when my boss told me I'd have to take a vacation day if I didn't come in. LOL. ugh that poster... i'm not thrilled with the yellow dress either. it looks okay in trailers, but not in stills. i'm hoping it will be even better in the actual movie. why'd they have to ruin it?! rage. omg that talking to me while i'm watching a tv show gif hahahahahaha yes.